I consider myself a baker, but I realized I've never actually made a cake from scratch! Luckily there was an easy fix; just bake a cake! I turned to my favorite type of cake for my first try, a red devils food cake. Recently, I was given an old Betty Crocker cookbook from 1961 and I fell in love. 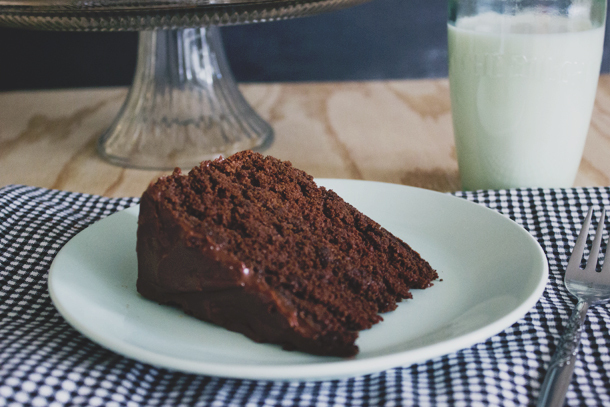 This recipe is from that book, it's an easy cake with an even easier frosting. 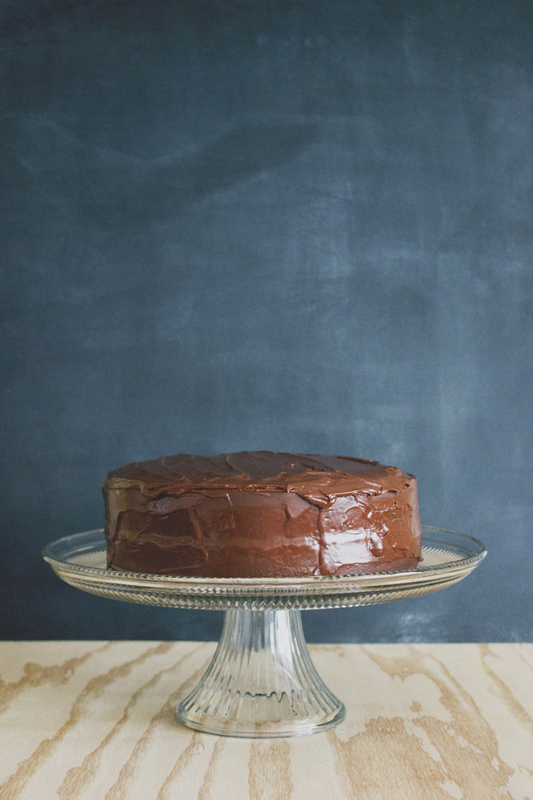 If you haven't ever baked a cake from scratch, give this one a shot! In a bowl, mix flour, sugar, baking soda, salt, and cocoa powder. Next, add shortening, milk, and vanilla. Beat for 2 minutes on a medium speed. I used level four on my stand mixer. Start slow, so the dry ingredients don't fly all over the kitchen (trust me)! Scrape the sides of the bowl and add the eggs. Now, beat for another 2 minutes. Pour into two greased layer pans and bake at 350°F. If you're using 8" pans, bake for about 38 minutes and bake 9" pans for about 30 minutes. Let cool and frost with the following recipe! 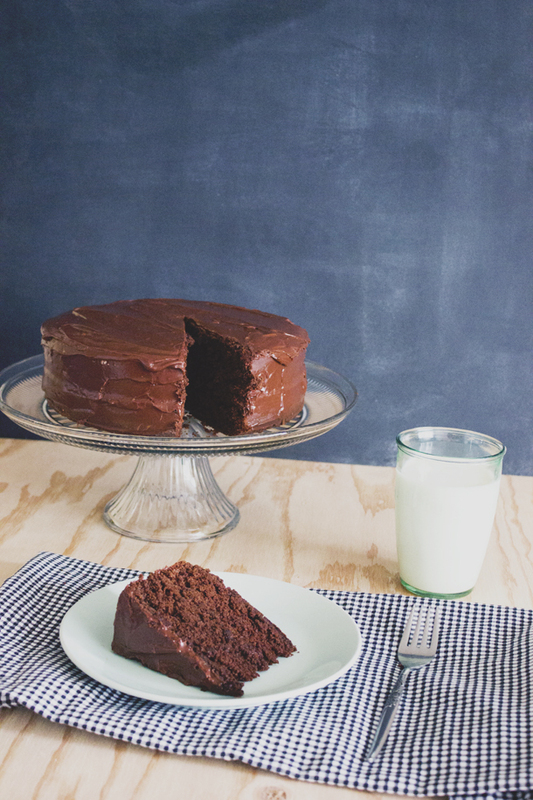 The cookbook titled this frosting as 'Quick-As-A-Wink Chocolate Frosting.' The title didn't lie. Combine chocolate, butter, and milk in a saucepan and stir over a low heat until the chocolate is just melted. Remove from heat and stir in the sugar. Beat on a medium-heat speed until all the lumps are gone and the frosting is smooth and creamy (about 2-4 minutes).